Anchor Mode installed in ISS Columbus Module close to light source. 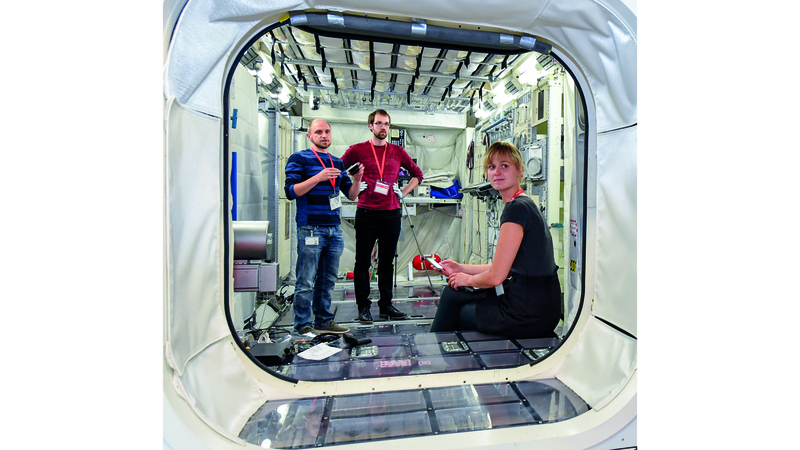 Six Anchor Modes during inspection on Ground at DLR Institute of Space Systems. 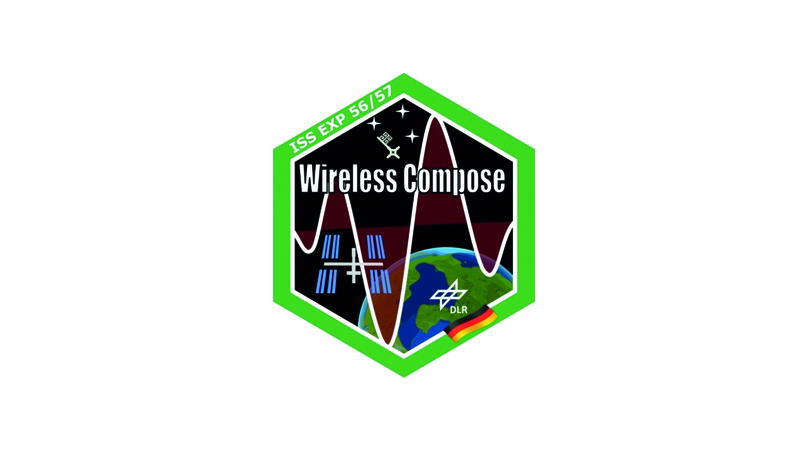 Wireless Compose (wireless communication and positioning experiment) is a technical experiment currently prepared for use on ISS and designed to demonstrate the utilization of a wireless communication network for collecting sensor data and for object localization within the Columbus module. The network comprises five fixed anchor motes, a base station, and a number of tag motes to monitor astronaut’s motions within the module. Wireless data transmission occurs with ultra wideband, which is nearly multipath-fading immune and thus advantageous for a highly reflective environment. Other HF sensitive systems are e.g. not jammed by this system. Additionally, energy harvesting allows to use the energy of the module's artificial light sources in order to achieve a power-efficient operation of Wireless Compose. 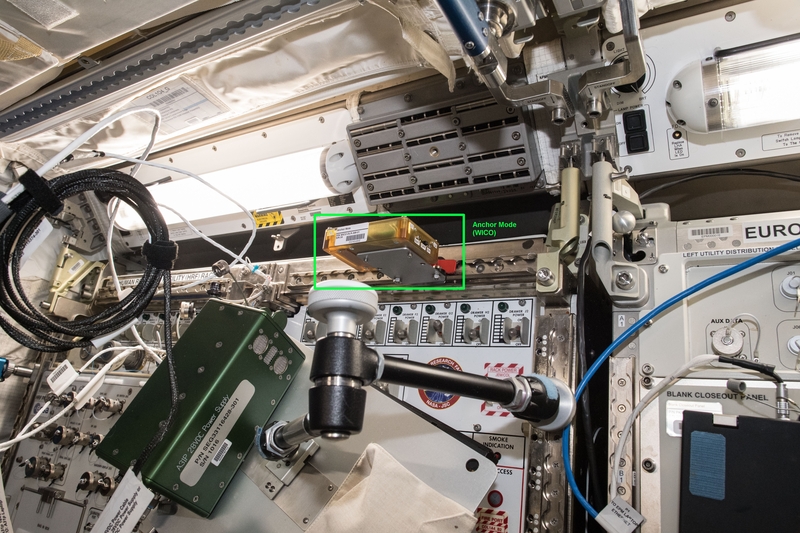 The operation onboard ISS has been selected to analyze and evaluate potential use cases of this technology for non-crewed and crewed spaceflight and derive operational constraints from the special operational environment of ISS. 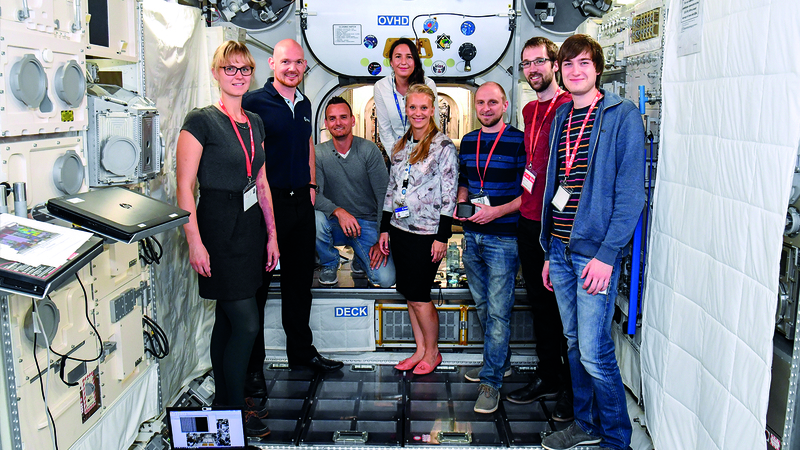 The experiment will be initiated in the Alexander Gerst mission in June 2018.